Douglas has spent his entire career in insurance. He carried out a number of management roles with Royal Insurance over 20 years, is a past chairman of the Chartered Insurance Institute's Society of Fellows, and a past vice-president of the Institute. 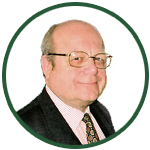 He formed Shillito Market Intelligence Limited (SMIL) in 1981. SMIL are insurance business analysts and commentators who monitor globally the management, structure, processes, distribution, business pressures and opportunities across all insurance markets at a strategic level, building a bridge with information technology in all its guises. Clients range from insurers and intermediaries, to management consultants, software, hardware and telecoms companies. On-going focused intelligence on prospects, clients, competitors and collaborators for IT suppliers specialising in the insurance markets. Copywriting - case studies, brochures, presentations, and sponsored white papers on the business impact of information technology on the insurance markets for major IT companies. Douglas acts regularly as chairman, speaker or facilitator at public and private seminars, conferences and workshops worldwide. He was consultant and chairman for the annual "IT in Insurance" conference for 15 years, from its inception in 1985. He lectures at the Cass Business School, City University, London, to visiting insurance executives. Douglas was founding editor of a number of pioneering publications including Insurance Systems Bulletin (1984) and Insurance Computer Systems (1984) (which became European Insurance Computer Systems in 1993). SMIL owns, researches, writes and publishes Insurance Newslink at onlystrategic.com, an internet-based, worldwide, intelligence database of strategic business, information technology, interviews, and opinion - containing over 47,000 articles (commencing July 1993). Douglas is a member of The Geneva Association's Communications Advisory Council.